The University of Pittsburgh is fostering an innovative environment by hosting some of the area’s most creative business-minded events, including Innovation Week, Startup Weekend, the Randall Family Big Idea competition, and She Innovates. 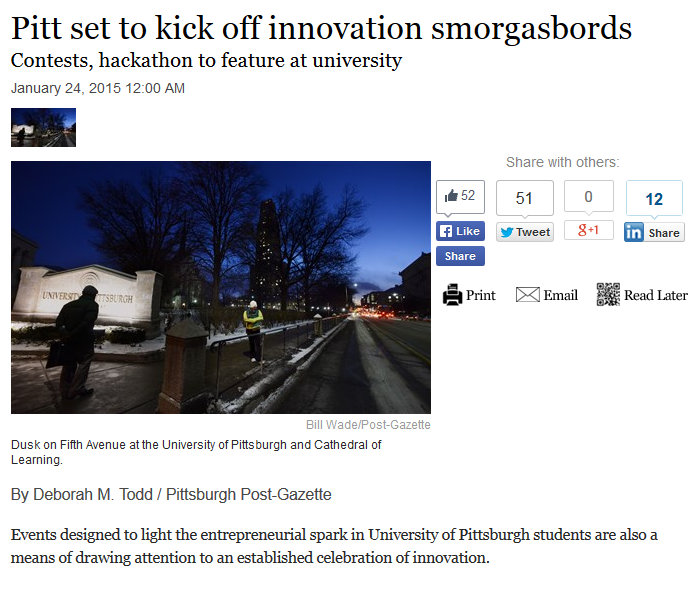 Read more about each of the events in this Post-Gazette article. Compunetix is looking forward to sponsoring She Innovates this weekend by sending women from the engineering, training, documentation, and marketing groups to mentor and offer advice to participants. For details, click here. And don’t forget to check back with us as we’ll be sure to share photos and a recap of the event. Thanks to the Department of Computer Science at the University of Pittsburgh for inviting us to participate!